This post was sponsored by World Market. I was compensated for creating this idea and recipe but the love for World Market products is all my own! 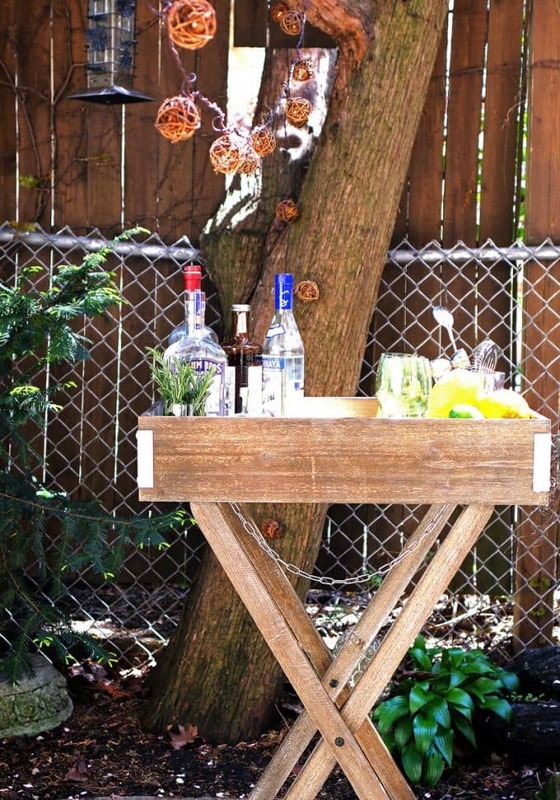 Have you ever wanted to set up an outdoor bar area that you can setup and take down easily? That’s just what I did for World Market! Using their Butler Tray, I created two easy setups. If you’re a cocktail fan, then I have a setup for you. If you’re more of a wine/beer/punch kind of entertainer, then I have a setup for you too! Also, I created a really easy punch recipe that is now a family favorite. 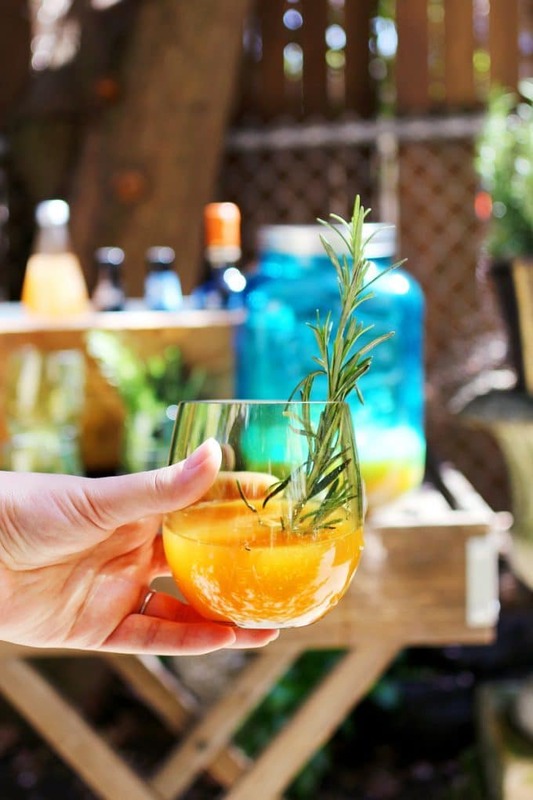 The last two parties we hosted, it was the requested drink and I now keep all of the ingredients on hand. You never know when you are going to entertain next! See the setups, the recipe, and a sneak peak of my backyard here – 2 Outdoor Butler Tray Setups.